When people order from Abeka they have the option of ordering the Abeka teacher manual too. You don’t really hear much about what is in them and whether you need them or not, so I thought I would provide a little insight here from the information I have collected. Abeka teacher manuals tell you exactly what to say when. They give you the exact materials you need to cover each day and tell you what visual aids you will need. Abeka uses the traditional textbook approach to learning which basically requires you to use direct instruction, textbooks and workbooks. Most lessons have 10-15 minutes of review at the beginning of each lesson. The Abeka teacher manual helps you teach the rules of whatever subject you are teaching. Many parents have differing views on whether they like or dislike Abeka teacher manuals. Those who have children who do better with a hands-on learning environment, tend not to like the manuals as much. For younger grades having the parent/teacher talk, students read textbooks and do workbooks do not often result in a positive homeschool experience. Many parents like the oral work and review that is in the manuals because you don’t get that with just a textbook. They like the fact that they are able to teach the rules for a certain subject. Some even like to know exactly what to say when and say that it helps keep them on track. Often there is either a love or a hate relationship with Abeka among homeschoolers. Some parents say that it works for some of their children but not all of them. Others say they love Abeka and wouldn’t use anything else. Those with younger children and hands-on learners tend to either get behind quickly or don’t enjoy having to follow a script. Abeka does not have any placement tests. Parents often get material that is too difficult for their age child because they just have to guess as to what grade to start them in. Although there are teaching suggestions, that material is not provided and the parent has to either make it or purchase extra material. Other Options - Do you need a teacher manual? Many subjects don’t need a teacher manual. If your child is studying Health, often times parents say you don’t need a teacher manual for that subject. If your child is studying Algebra, you might need some extra instruction and would want to get the manual. For the younger grades, if your child can’t read yet, many times you can just get the teacher edition because it has the student text with the answers to the questions printed in it. If you don’t want to follow the script in the manuals you can just use the sequence that is listed instead of the verbatim script. That way you know what is to be accomplished each day but can add your own style to your teaching instead. If you find the material is too easy, you can go straight to the test and have your child see if they can pass the test without going through the material. You can keep doing this until you get to a test that your child can’t pass. Then you know that is the chapter they need to study and have probably come to the point in the book where they should have started. The Abeka teacher manual is pretty easy to resell, so you shouldn’t have too much trouble finding it used if you choose to purchase books used. If you purchase a manual and use it for your children, you can then resell it too. The only problem is that Abeka often changes their editions, so you might have trouble matching up an older manual with the newest edition of the textbook and workbook. Homeschool Classifieds is one place to find and sell these. When you go to a state homeschool convention, Abeka is almost always there with a booth. You have the opportunity to look over the materials and order the books you need with no shipping cost. 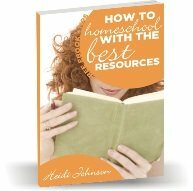 There are various homeschool classified sites that also allow parents to sell off their used manuals. If you check the catalog, you should be able to tell what the current edition is and if the book has been changed a great deal to where you would need a new manual or not. Many times you can find a student text and Abeka teacher manual together, especially for the younger grades. Sometimes parents have their children write their answers to the questions on a separate piece of paper so that they can resell the student and teacher book together. This makes the set much more valuable and easier to sell. As with any curriculum or book, you need to be sure that you know exactly what you are getting and whether that matches up with your child’s learning style and your teaching style. Don’t buy a curriculum and try to fit your child into it. Look at yours and your child’s needs first and then find the books or curriculum that will promote the highest level of learning possible.